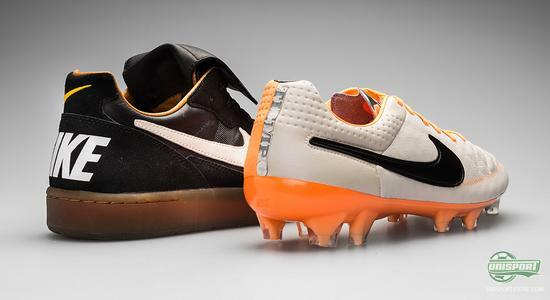 With the launch of the new Nike Tiempo Legend V, Nike have been innovative and revolutionary in terms of new technology, but with the Nike Tiempo 94 they have, at the same time, not forgotten about the roots. 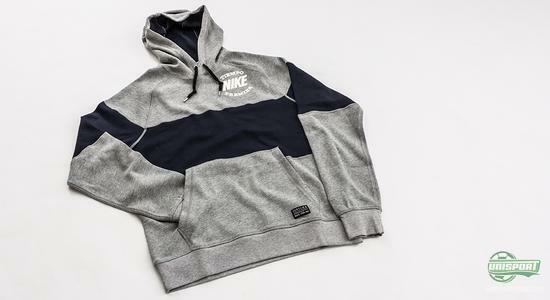 We now take a closer look at the two new products right here. Even if we are well into January, we can feel joy when thinking back at the rapid launch-tempo Nike showed in December. Towards Christmas the gifts keep coming like beads on a string, and it was a true joy to follow. 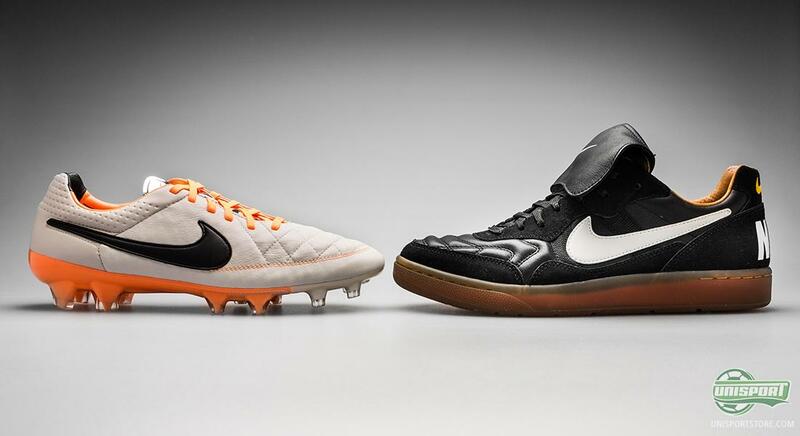 Among the most interesting of news was the Nike Tiempo Legend V and not the least the Nike Tiempo 94, which we will look a bit closer at right here. Nike Tiempo Legend V was launched as the latest and a revolutionising and innovative boot. 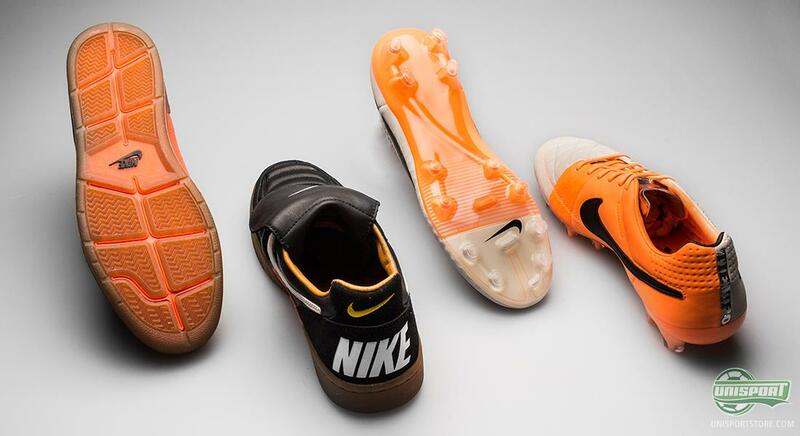 For a period of two and a half years, Nike had been working hard to make a modern icon even better in order to optimise the boot to meet the increasing demands and needs of the professionals. 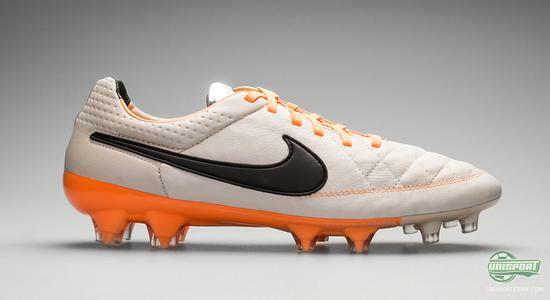 If you are liking the new Nike Tiempo Legend V, then you can see much more right here. With the introduction of the Hypershield technology, Nike set brand new standards for what how a leather boot can perform. Hypershield is a water repellent technology that consists of three layers, which are developed in order to prevent the leather from taking up water, and it is far more than just clever marketing. 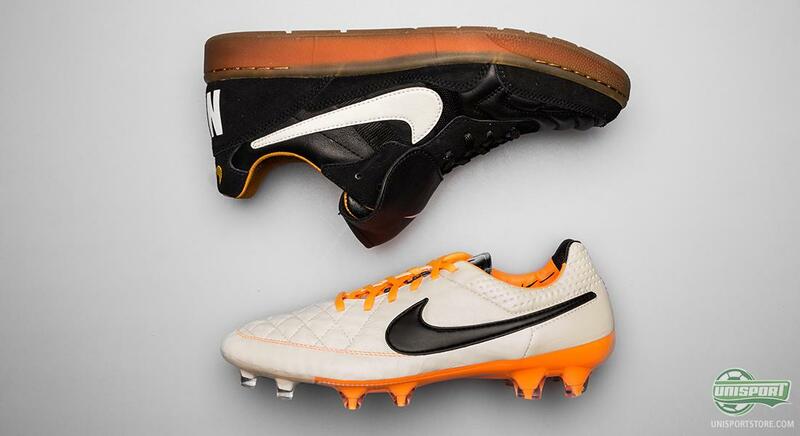 The fifth generation of the Nike Tiempo Legend absorbs 73% less water compared to the Nike Tiempo Legend IV, the material dries 24% faster, and the upper is also 88% stronger than that of the Tiempo Legend IV in Nike's own tests. With the new and highly technologically advanced Nike Tiempo V some may feel that time is running away from the legend of the Nike Tiempo Legend; that Nike have left the classic virtues that laid the ground for the highly technological and super nice Nike Tiempo Legend V. This is not the case though. With the Nike Tiempo 94 shoe, Nike made sure to celebrate the legendary Tiempo legacy. 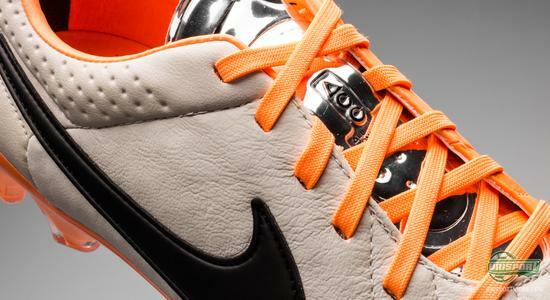 Is the Nike Tiempo 94 to your liking, then you can see much more right here. 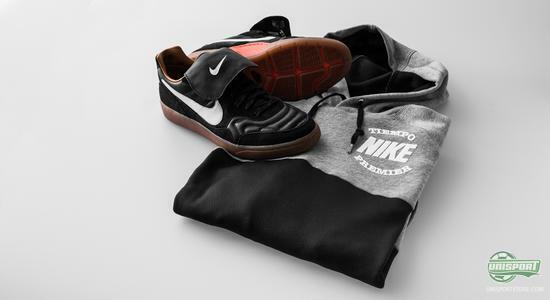 The Nike Tiempo 94 is an attempt to recreated the iconic and legendary Nike Tiempo Premier, which was at the forefront in terms of technology and being revolutionising and innovative. It could be seen on the feet of no less than 10 players when the World Cup final was played in USA back in 1994. A match where Brazil beat Italy 3-2 after penalty shoot out. The difference between the two is not that hard to spot. The Nike Tiempo Legend V is made for use on grass pitches and traditional football, whereas the Nike Tiempo Premier is made for he indoor courts. Still, there are similarities. It is clear that the two boots have the same heritage and with the three colours orange, white and black, it is not hard to tell that they are brothers. The Nike Tiempo Legend V has, on top of the Nike Hypershield technology, also been updated on a range of other areas when compared to the previous Nike Tiempo Legend IV. Among other things, the stitching on forefoot have been modified to ensure that the leather doesn't stretch, and hereby it ensures longer durability. The tongue on the new Nike Tiempo Legend V is small and not in the way. 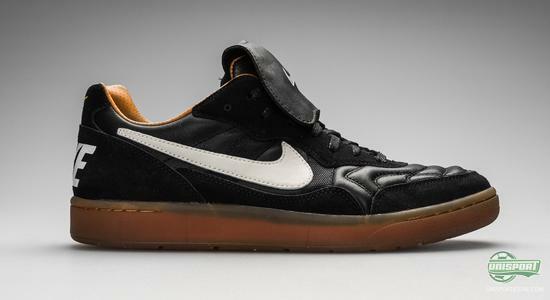 This wasn't the case for the classic Nike Tiempo Premier from 1994, and therefore, the Nike Tiempo 94 has also been given a large tongue just as it looked for a good 20 years ago. The tongue is, on the other hand, detachable; so you are free to choose if want to celebrate the traditions or not. In addition, a yellow Nike mark has been sown onto the heel, just as it was on the Nike Tiempo Premier. Some players are faithful to the Nike Tiempo boots, and if you're in and among that crowd, then the Nike Tiempo Legend V is a true gift. It is lush, technologically advanced and has a sublime comfort. 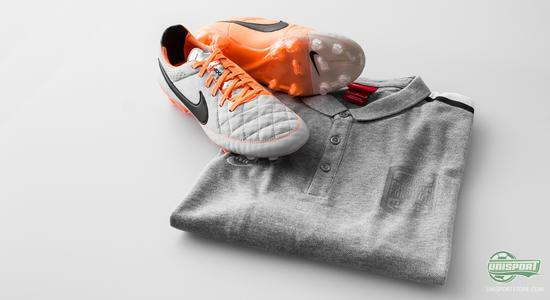 If you are also looking to express your Nike Tiempo style in your everyday , the Nike have also launched and elegant polo that fits right in with the modern Nike Tiempo Legend V.
If you're into the elegant polo, then you can see much more right here. 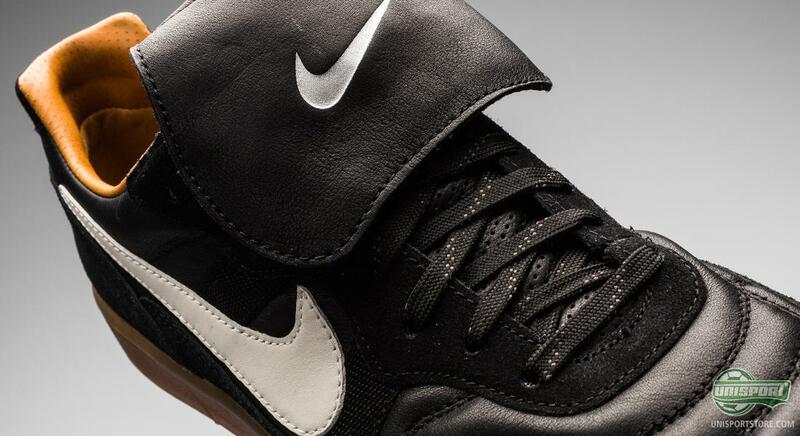 If you're liking the classic Nike Tiempo 94, then there's plenty of good news. Not only can you put an elegant and stylish shoe on your feet, you can also pull on a just as nice shirt over your head. Nike have, together with the Nike Tiempo 94 shoe, also launched a shirt that matches is perfectly, and which displays the same elegance and class that has been a part of the Tiempo DNA ever since 1994. 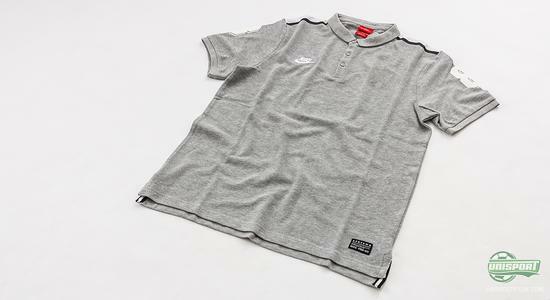 Would you like to pull on the cool Tiempo long sleeved shirt, then you can see much more right here. With the Nike Tiempo Legend V and the Nike Tiempo 94, Nike manages to both be at the very forefront of technology and yet also celebrate the classic heritage, which has created the legend. What are your thoughts on the two boots? 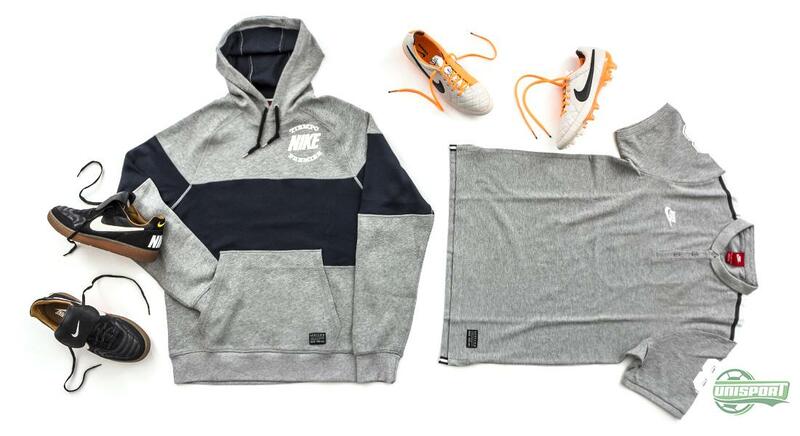 And are you liking the Nike Tiempo 94? Feel free to share your thoughts here, or on Facebook and Twitter.